Evli Apartments are in a perfect area of Rethymno , 800 m from the center of town and about 1 kilometer from the central beach and away from the main noisy tourist areas in a quite uptown residential suburb, with panoramic view & cool green surroundings just 2 minutes by car. 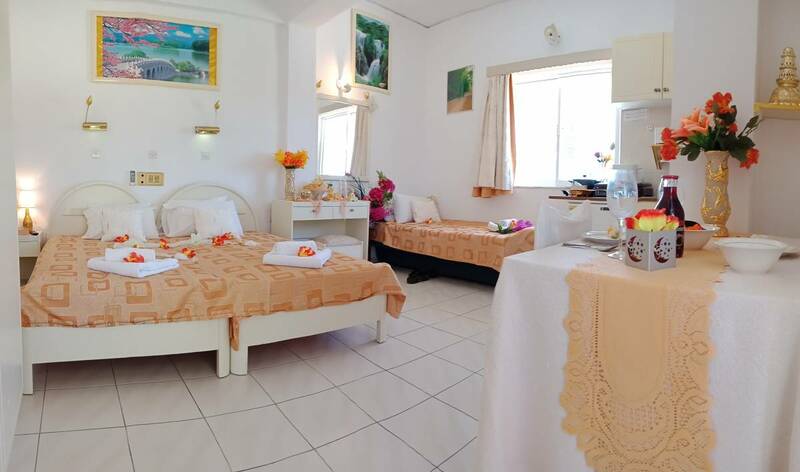 If you are looking for a peaceful stay with splendid views this is the place. After a long day of driving, either to out of the way beaches or site seeing at the many places Crete has to offer it is always nice to arrive back at your apartment to sit on the balcony with a cool drink and relax in the quite evening atmosphere. 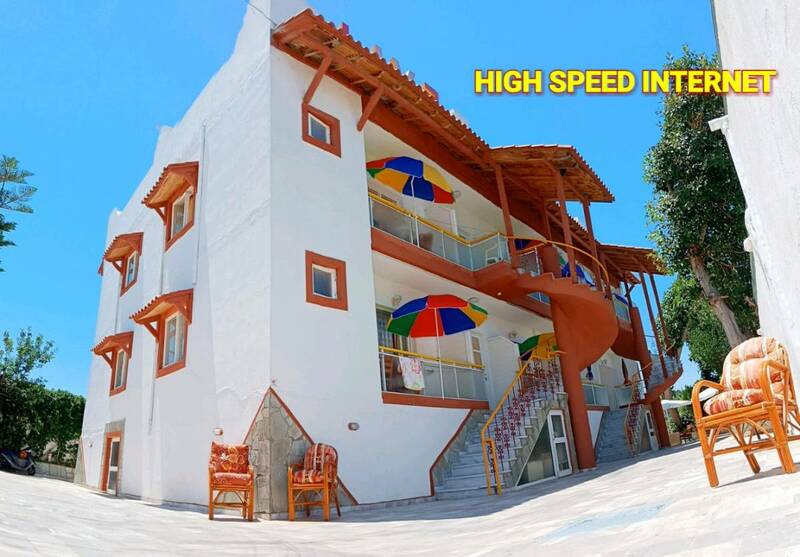 Real budget prices for a very safe, happy, clean, enjoyable hollydays Special on line discount for Travelers and Backpackers. 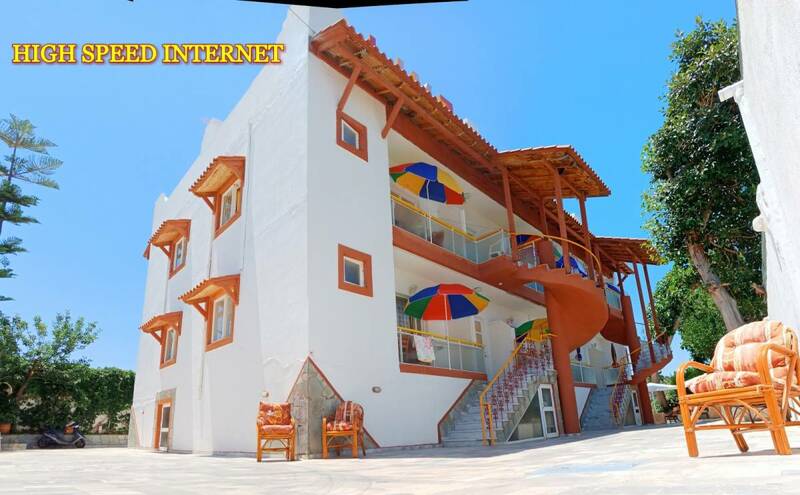 Big, self catering, apartments , full furnish, full kitchen, private balcony, beautiful view, open space. 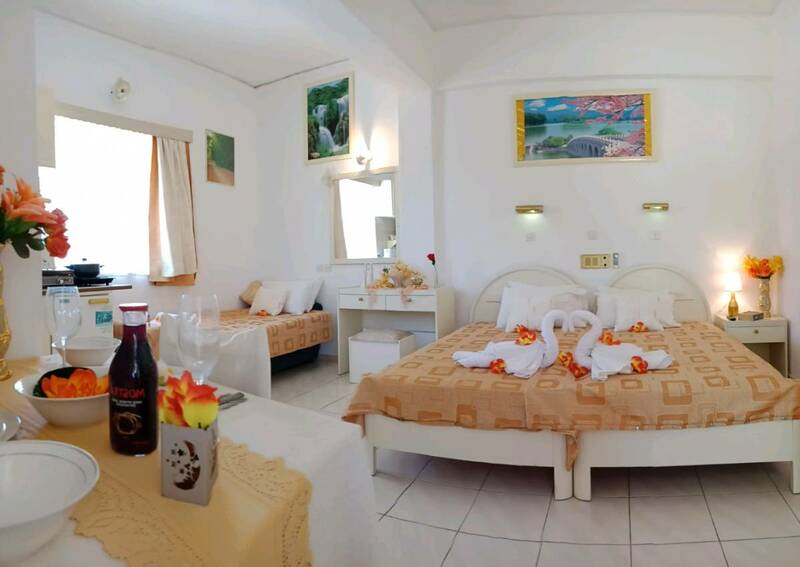 Evli Apartments are in a perfect area of Rethymno Town 800 m from the center of town and about 1 kilometer from the central beach , away from the main noisy tourist areas in a quite uptown residential suburb, with cool green surroundings just 2 minutes by car. If you are looking for a peaceful stay with splendid views this is the place. If you need a direct transfer from the airport or port of Chania or Heraklion please use the link provided below to book. it Is cheaper and very convenient, it will drop you right out of the apartments . Please be aware that you have to book at least 2 days before your trip. 3) If you arrive at the bus station in Rethimno you will then need to get a taxi to the apartment which costs about 5 euro. 4) If you are arriving by car the address is evli apartments , agiou ioanni. We have attached a map to help you with the directions. 5) There is a local bus that goes from the centre of town up to the apartments and back down into center. Below are the times, it costs 1. 20euro and takes about 3-4 mins. In the center it stops at the normal bus stops( we have also marked on the map where are the bus stops to catch the bus up to Evli. Tell the bus driver you are going to Evli and they will drop you of outside the apartment. The same on the way down just stop the bus when it passes and it will pick you up.